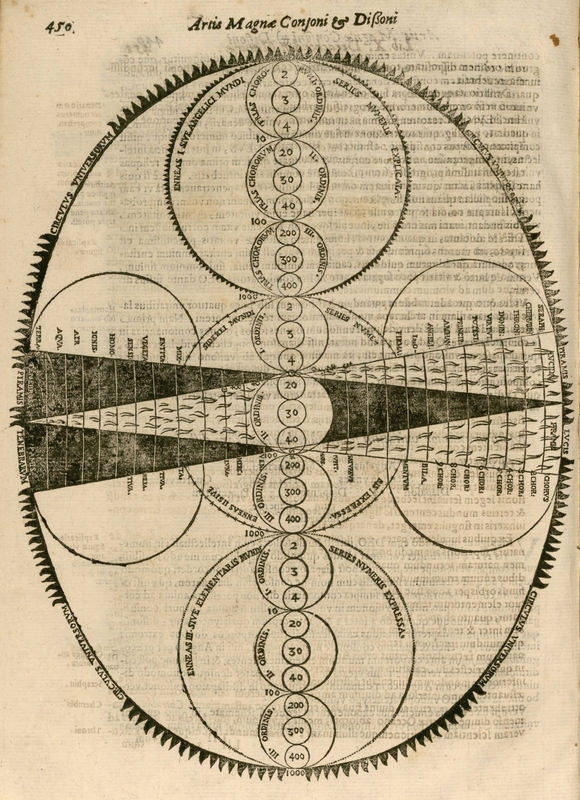 Athanasius Kircher SJ - 'Musurgia Universalis', 1650. 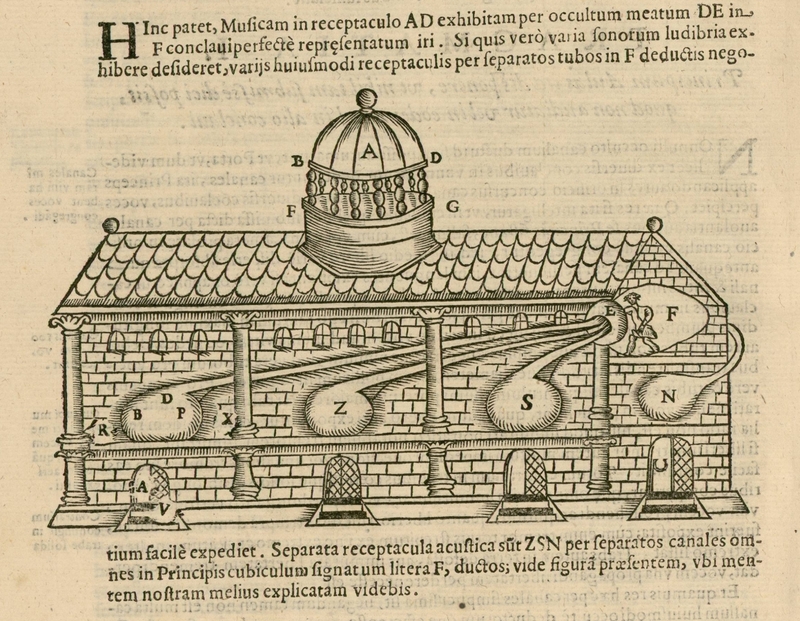 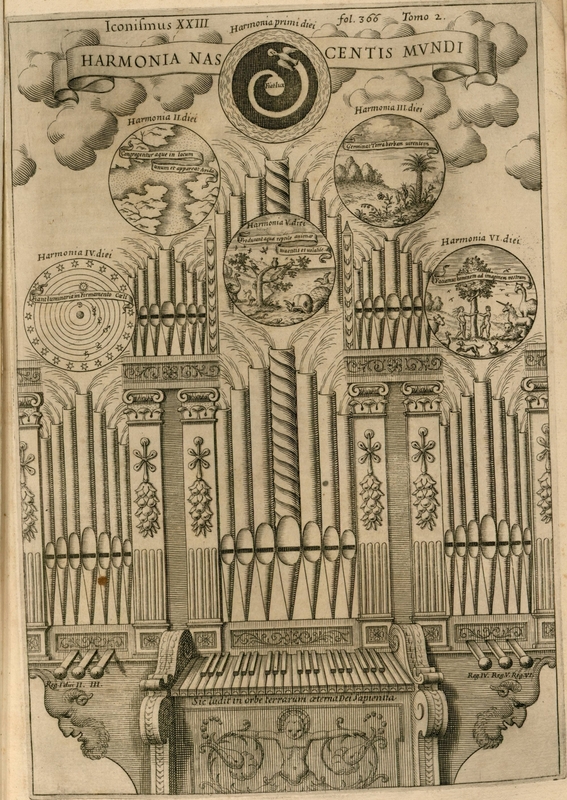 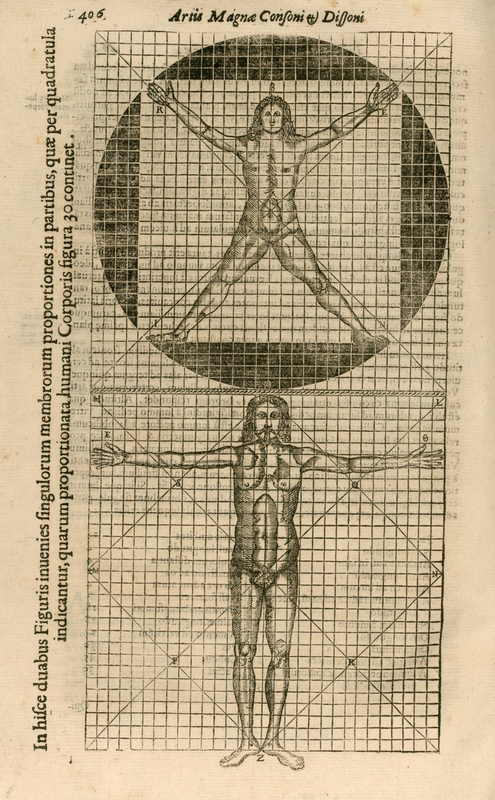 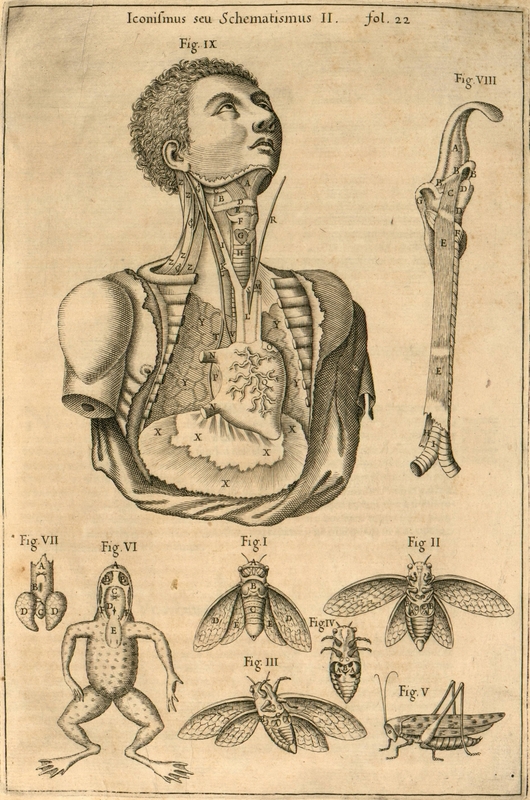 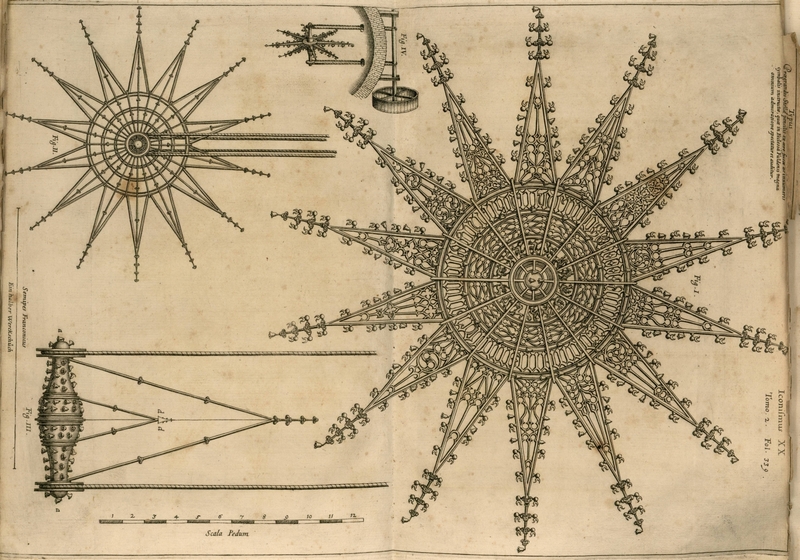 "Kircher's best-remembered work is also his second largest. 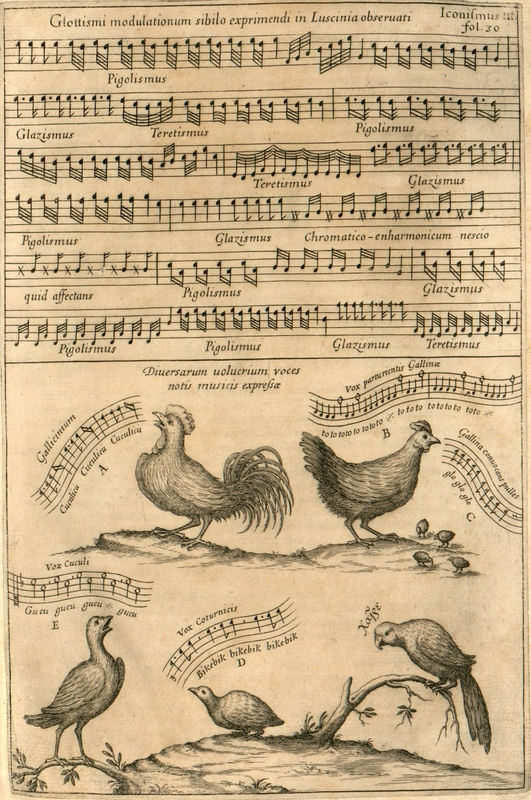 Musurgia Universalis is an exhaustive compendium of musical knowledge at the transition point between sacred renaissance polyphony and secular Baroque music. 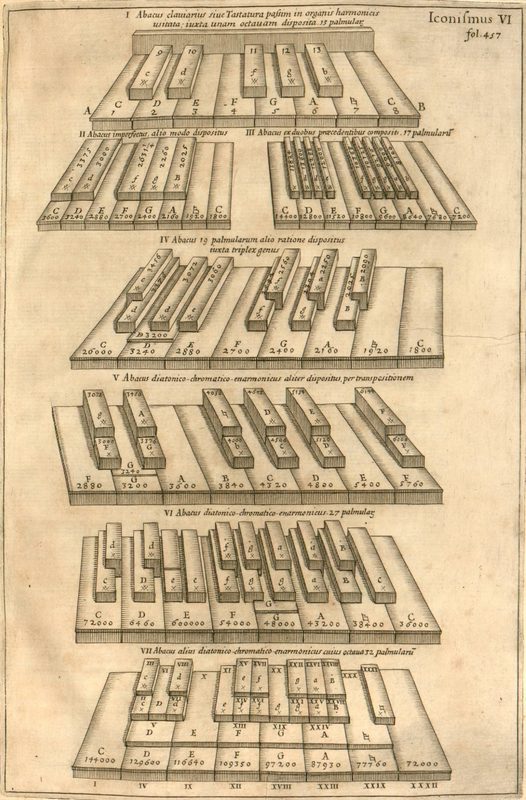 Much of Musurgia is dedicated to a survey of contemporary music, including the first published mention of the baroque 'doctrine of the affections' in which music is ideally analogous to human emotions. 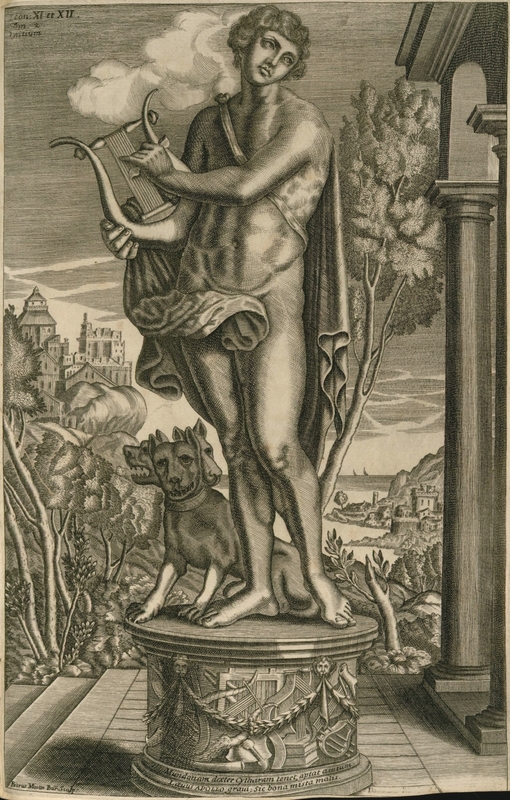 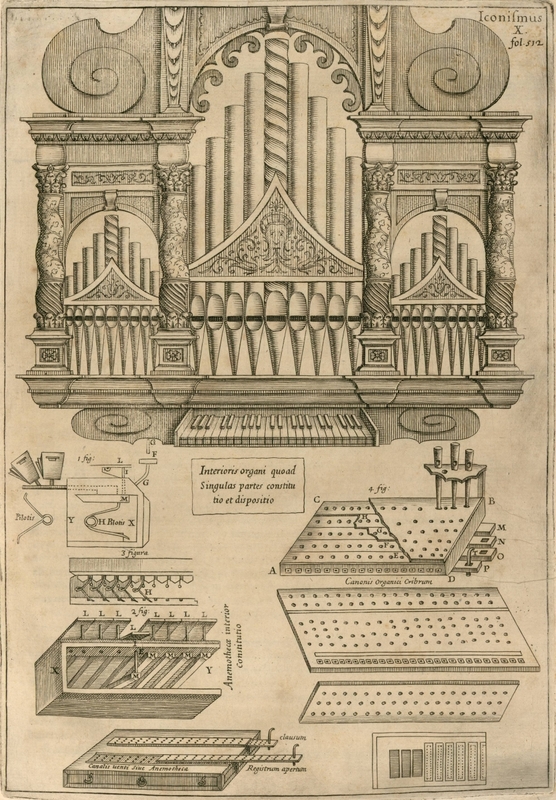 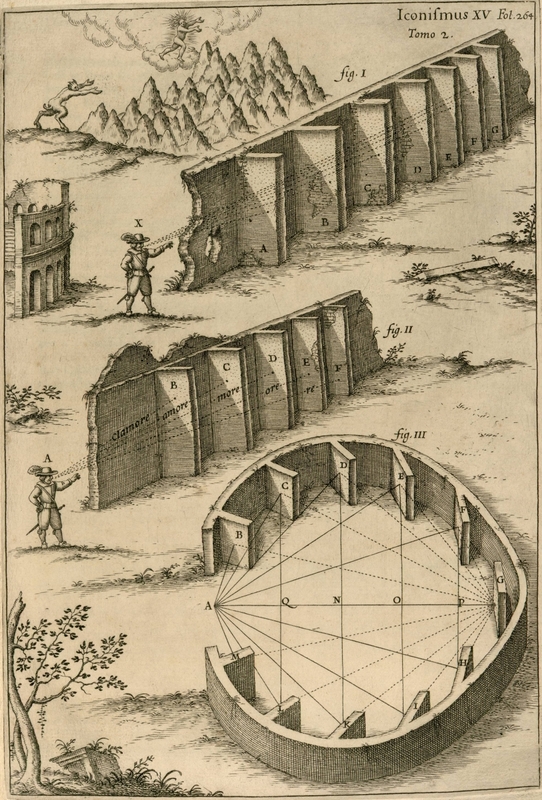 Many surviving compositions by Frescobaldi, Froberger and other baroque masters are due to Kircher's extensive transcriptions and reproductions of scores in Musurgia. 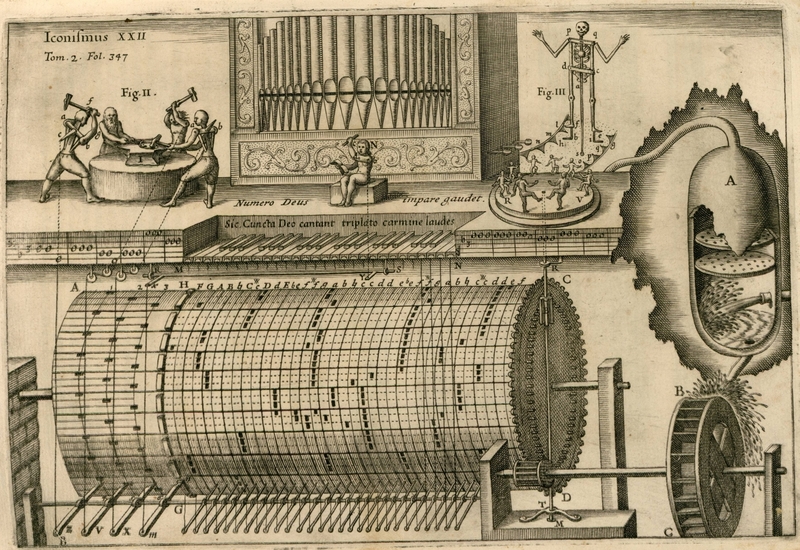 Kircher speculates on the music of early cultures and reproduces a melody he claimed to have seen on a manuscript in Sicily dating back to ancient Greece, making it (if authentic) the oldest surviving example of musical notation. 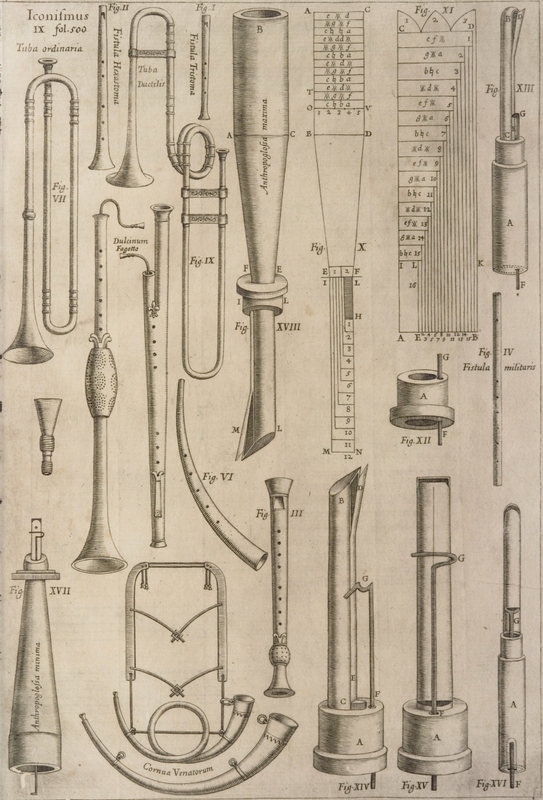 A large part of the book is devoted to the history of instrumentation, including the anatomy of voice and hearing, and an extensive theory on acoustics entitled 'Magia Phonocamptica, sive de Echo', in which he described sound as 'the ape of light'. 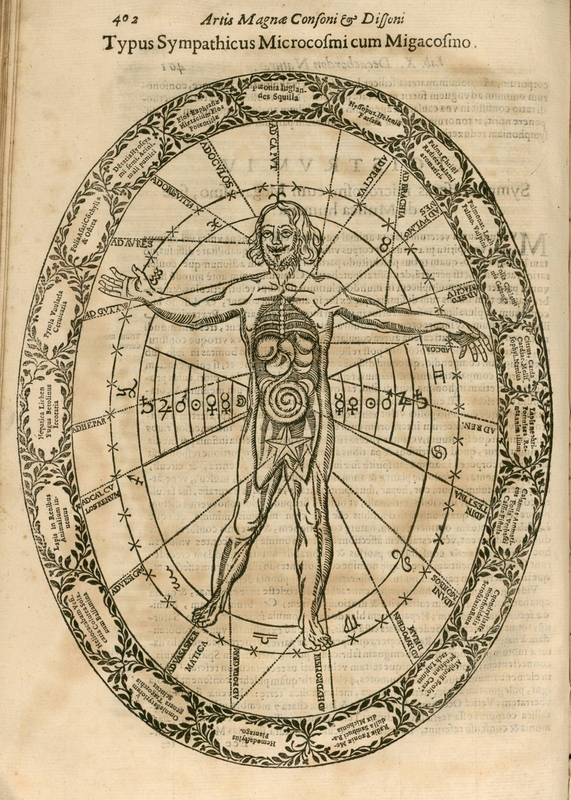 Glasgow University Library Book of the Month exhibition site. 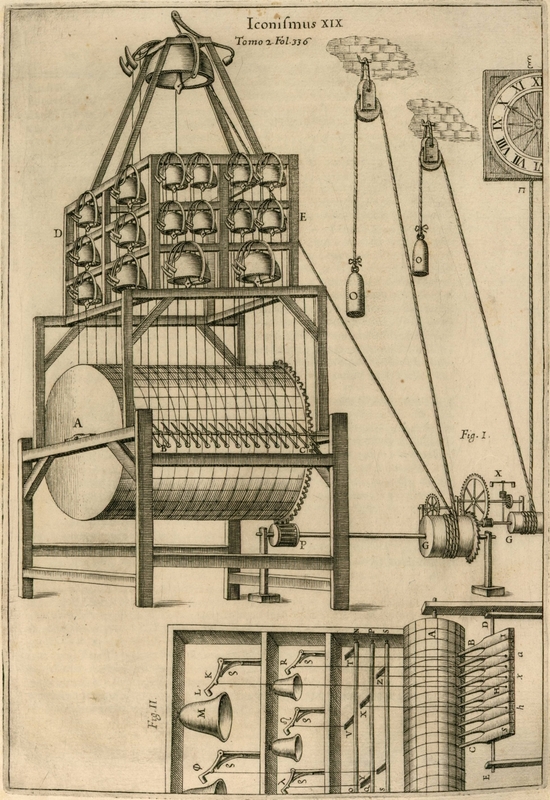 The University of Reading Library Special Collections Featured Item. 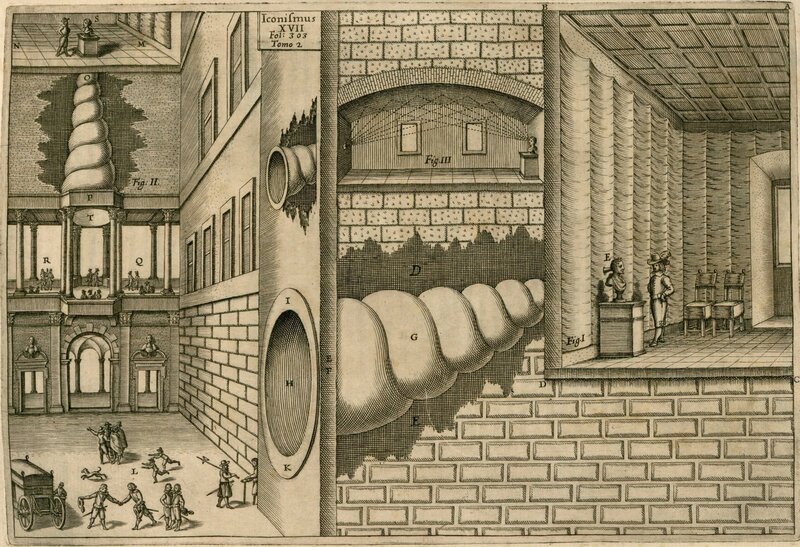 'Know It All' by Professor Larry Wolff, IN: Boston College Magazine (Spring 2007 feature). 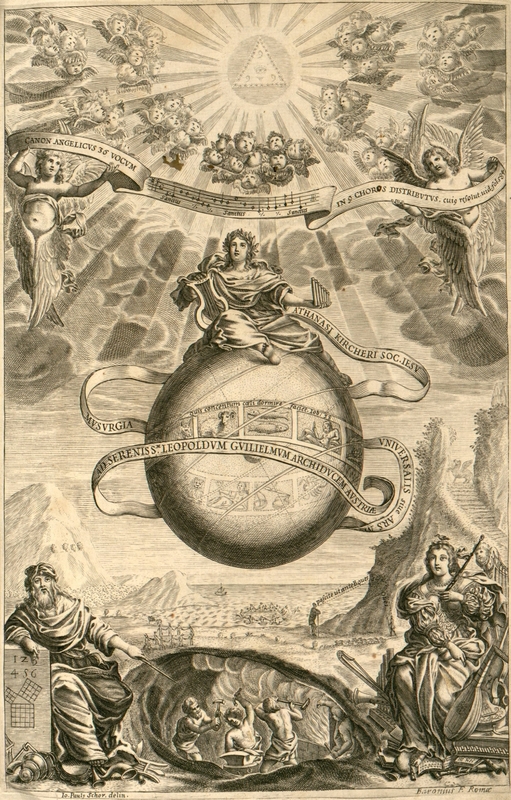 Italian: Essays on 'Musurgica Universalis' by Carlo Mario Chierotti. 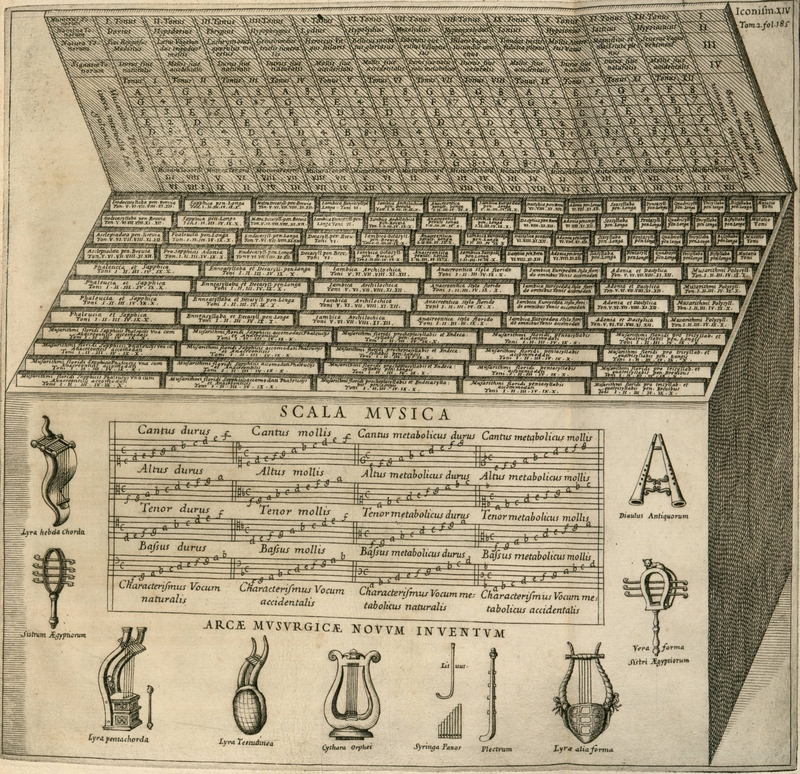 'The Scale and the Spectrum' by James Peel in Cabinet Magazine, 2006. 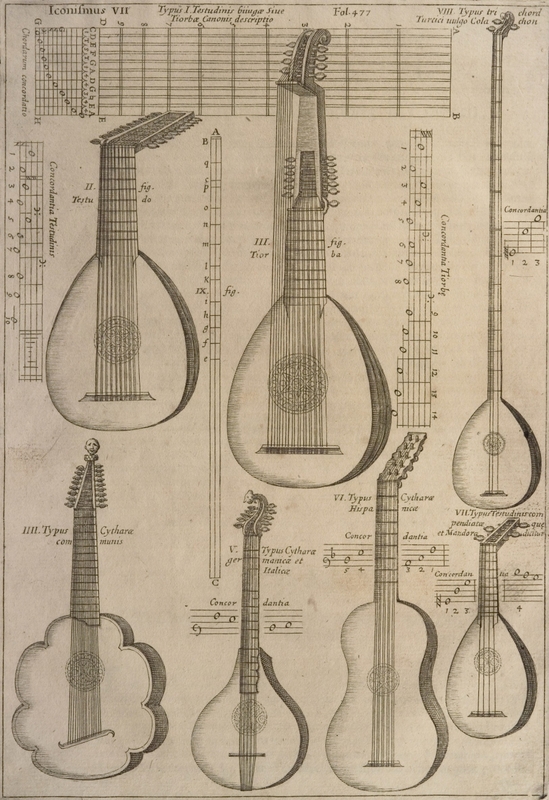 A fine Guidonian hand there, not to mention those excellent lutes and viols. 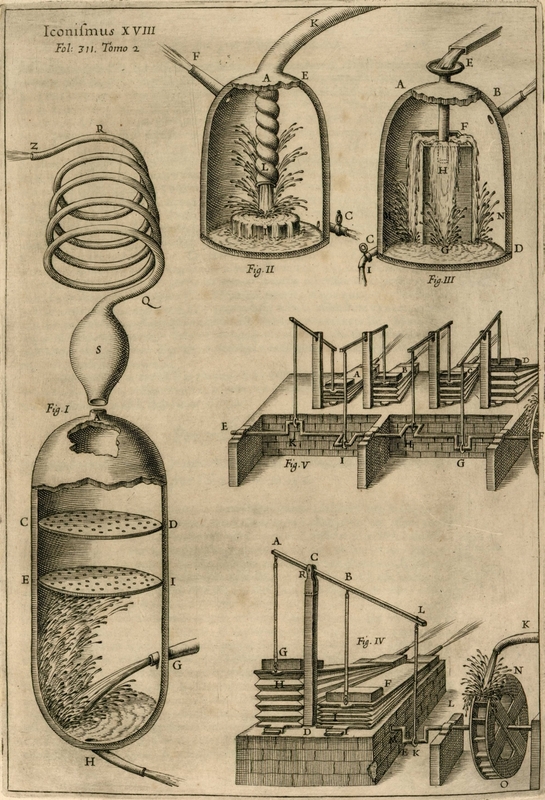 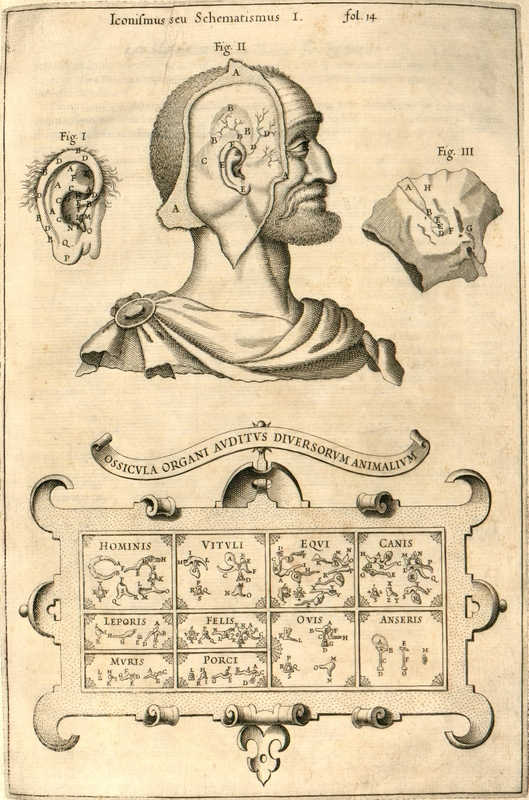 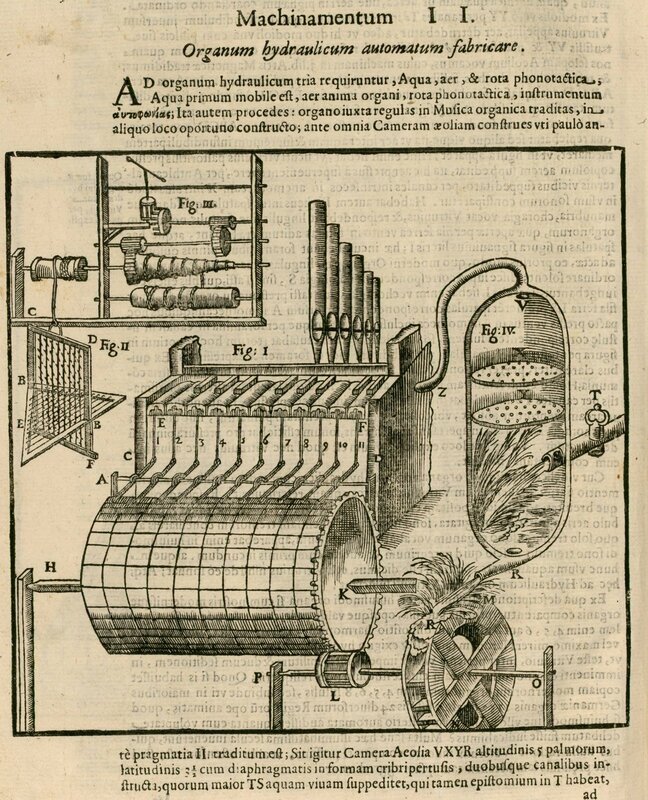 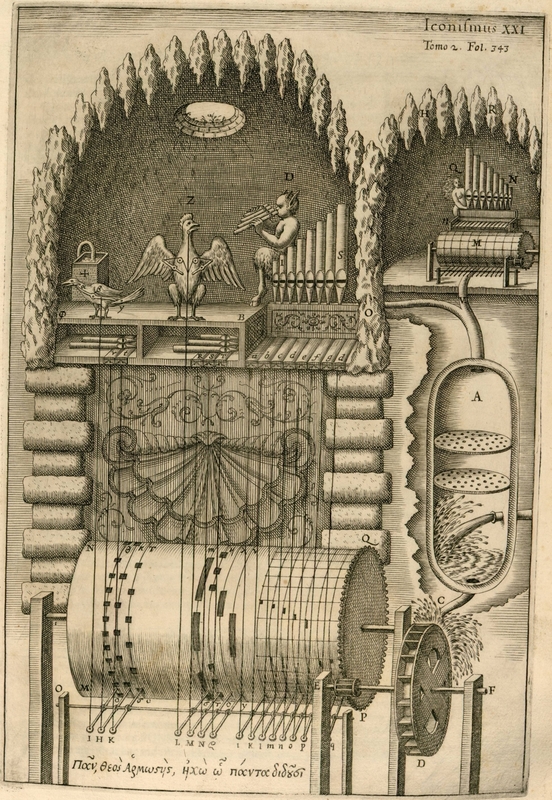 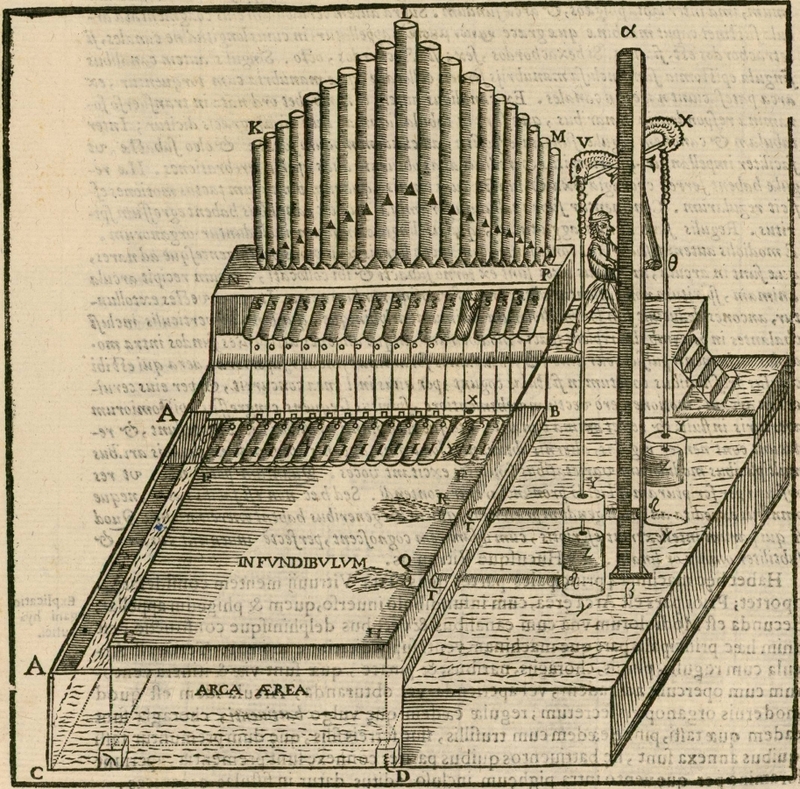 I must confess, however, that some of the images have me sorely baffled as to how Kircher connected them to music. 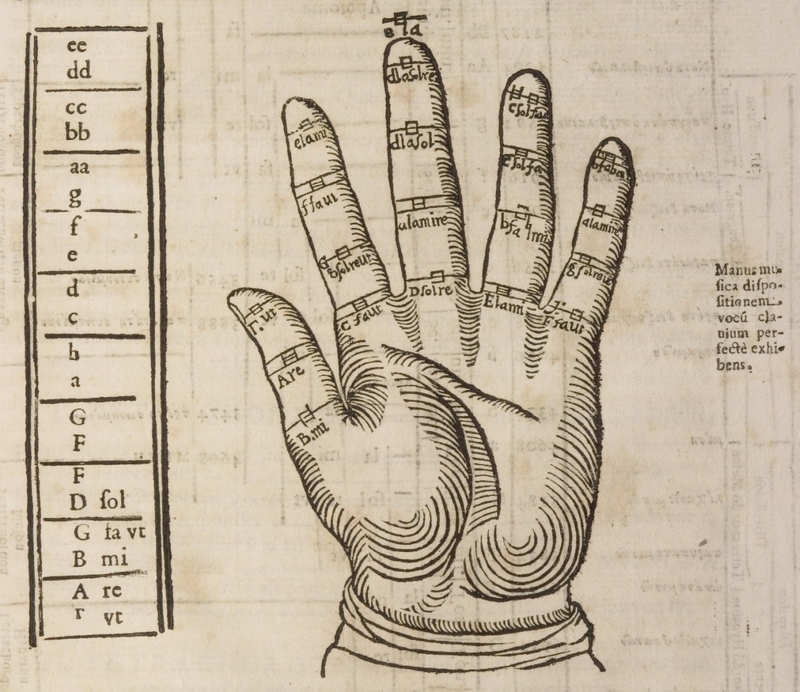 Anatomy meets polyphony, perhaps? 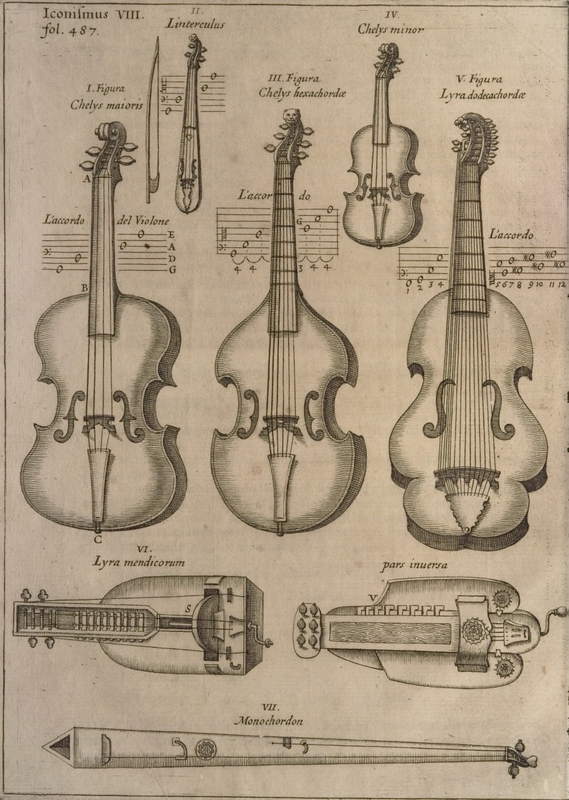 Perhaps we sometime viola players are naturally drawn to these things.